The acropolis, with its several building horizons, was located on the plateau. In its final phase one found a complex, with remains of public buildings protected by a rampart and a broad, deep moat which guarded the acropolis on its most easily accessible side. 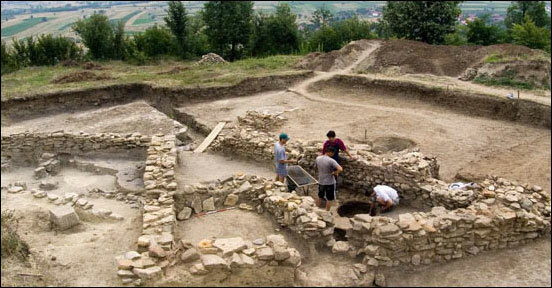 Detailed site surveys, limited test trench excavations and geophysical investigations have confirmed that most of the settlement was located on the slopes descending towards the Krševica river valley. Until now, the largest area to have been investigated is at the foot of the site. Here a rampart, a large complex of buildings, walls, ovens, many postholes and beds for the horizontal beams of the wooden structures have been found. It is obvious that this investigated area, covering over 1,000 square meters, represents just a part of the suburbium and its various structures, which extended along the river. The complex stratigraphic situation found in this section of the settlement has been identified as the ‘hydrotechnical complex’, and is explained, most probably, as the result of great hydrological changes occurring at the end of the 4th century BC, which, in turn, substantially endangered the monumentally built structures. As a consequence of the rising water level, three building horizons were established and with the successive filling and leveling they totally transformed the appearance and function of the originally planned structures. Located in the central area is a large stone platform, over 2 meters high and constructed on both sides with carefully dressed stone blocks. Two massive walls, which probably protected the settlement from excessive rainfall, branched off from the platform and up the slope. Later, at some point, this large structure underwent a complete transformation. It was covered with earth and a two-room building was added next to the north face of the platform. 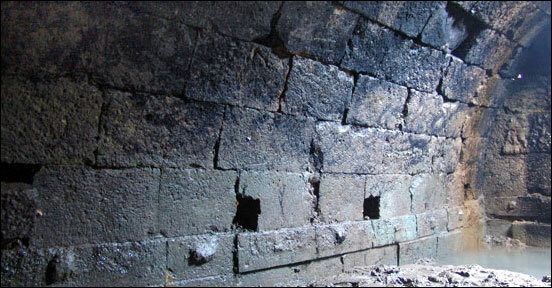 On the south side, under a level with ovens, a completely preserved, vaulted building has been discovered, made from large ashlars, 10 meters long, 6 meters wide and by all appearances at least 6 meters high.. Because of its great depth investigations have not been able to be completed. Only by doing so can precise data about the appearance, function and dates of construction of this exceptional structure be obtained. We must assume, for the time being, that this was a reservoir which provided fresh water for the inhabitants. 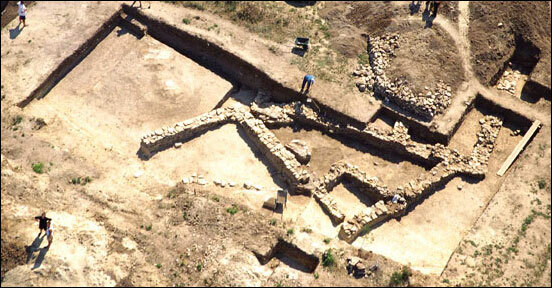 Later this structure was abandoned and filled with earth, dressed stone, animal bones and pottery fragments. The problem of water, which so affected the settlement at that time, is the same problem which today makes the archaeological excavations in this sector possible only with the permanent use of water pumps. 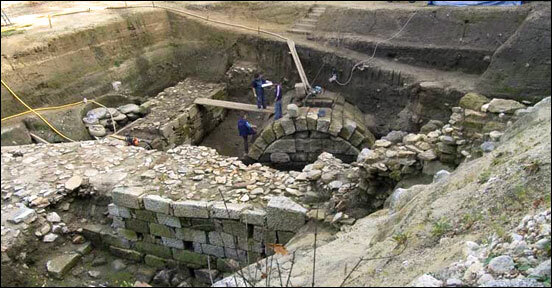 Further investigations, which continued in 2010 and 2011, revealed that ‘hydrotechnical complex’ at Krševica indeed was the water system, which according to rough estimate could have provided for several thousand inhabitants. It consisted of an area of around 210 square meters surrounded by walls and used as water collection basin and central zone with water intake facility – reservoir. Due to large influx of water and permanent temperature changes the structures became more and more endangered in the course of excavations. Attempts to protect and present this unique system at the foot of acropolis have been unsuccessful, so the section of site by the river was covered with earth in the autumn of 2011 and thus conserved for future hopefully better times.